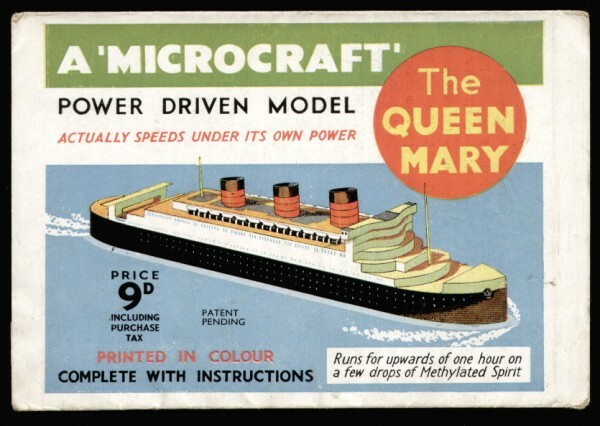 A ‘Minicraft‘ power driven model, issued late 1945 early 1946 at 9d. The cards do not have a protective finish and are made of normal card. 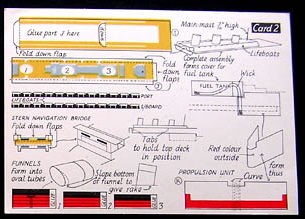 One card is of normal size, whilst the other card is two cards long, folded in half. 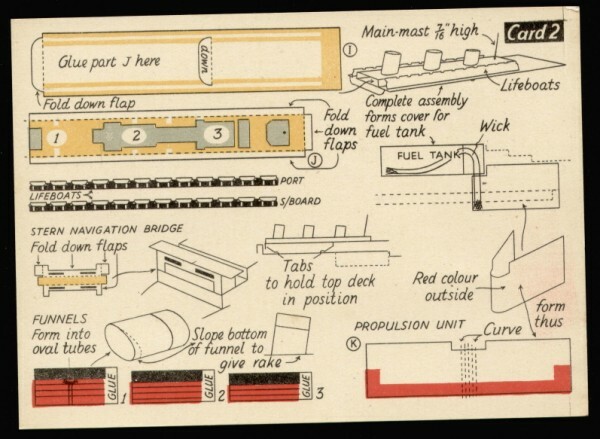 A ‘Microcraft‘ power driven model, issued probably 1947 at 9d. 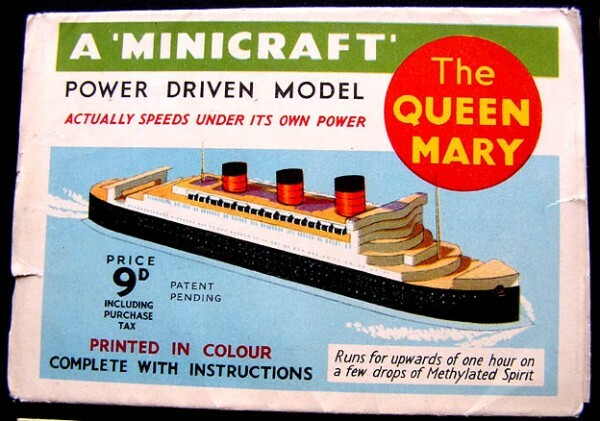 The major difference between this edition and the Queen Mary above, is the use of the word ‘Microcraft’ instead of ‘Minicraft’. There is the same reference to September 1945, and the cover price is the same. This must be edition 2, whilst ‘Minicraft’ is edition 1. 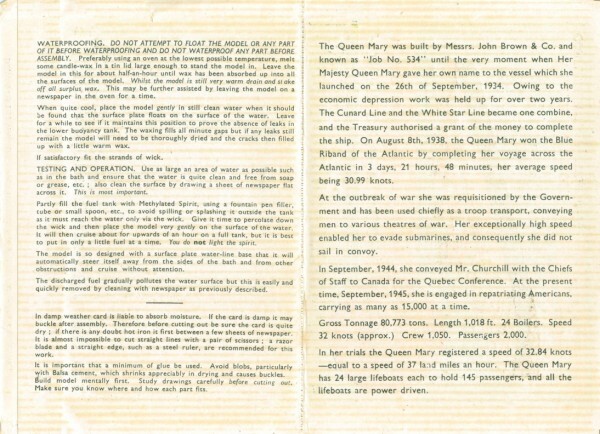 The reason for this informed guess is that the Motor Cruiser, which we know was printed at a later date, has a ‘Microcraft’ product heading and also the cards of this edition are protected by the same sort of wax finish to that used on the second edition of the Motor Cruiser. 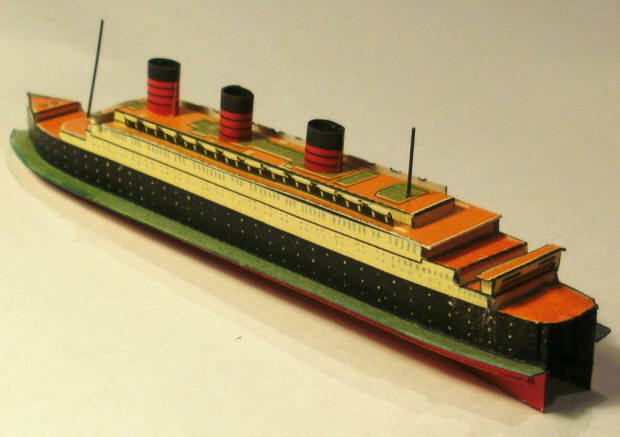 Just like the Motor Cruiser and the Thames Tug this model is designed to actually float and be self propelled using methylated spirits as a reaction agent. This is a rare model.